'Tis the season for inappropriate abuse of reindeer. Don't get me wrong, there are lots of things about Christmas that I love: handmade decorations, family Christmas Dinners and presents; making them, shopping for them, wrapping them, putting them under the tree and receiving them. But there are some things about Christmas that make me cringe. One is reindeer antlers on anything: Hats, headbands, peoples' poor pets and above all cars! Antlers on a family sedan have been know to trigger a fit of mild road rage in my boy. So lets reclaim the reindeer as a classy and cute appropriate Christmas symbol and banish the memory of tacky reindeer antlers everywhere. 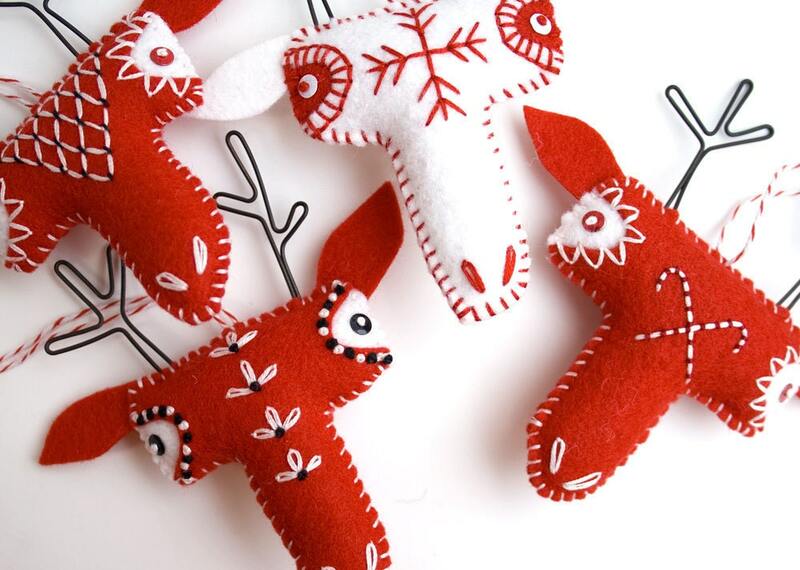 Here are some gorgeous Christmas Reindeer Christmas ornaments. 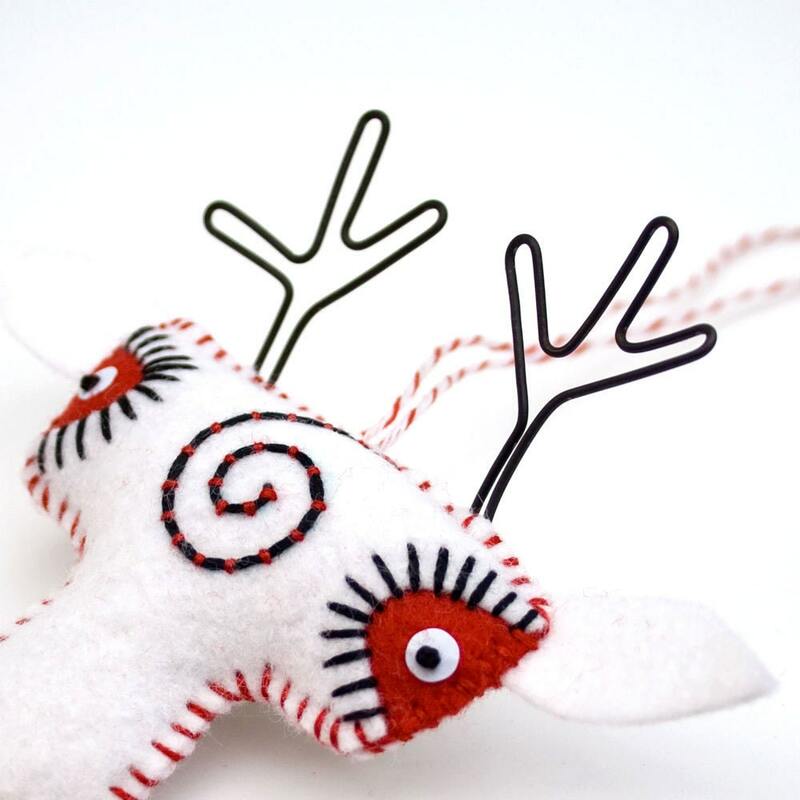 Felt Folk Reindeer Ornaments by RawBone Studio on Etsy. I absolutely love these. Make your own Clothespin Reindeer Ornaments. Find a tutorial here. Do you happen to have any spare light globes lying around? Why not turn them into reindeer? Instructions here. 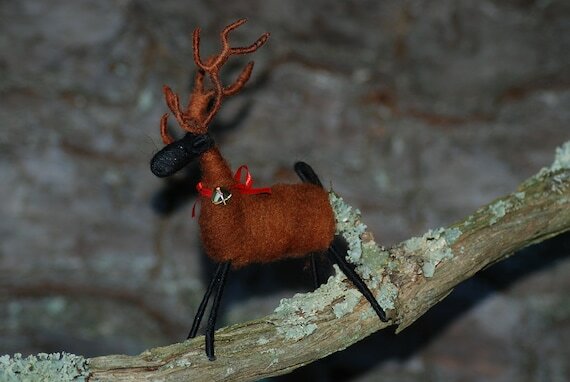 Woolen reindeer ornaments by BondurantMountainArt on Etsy. 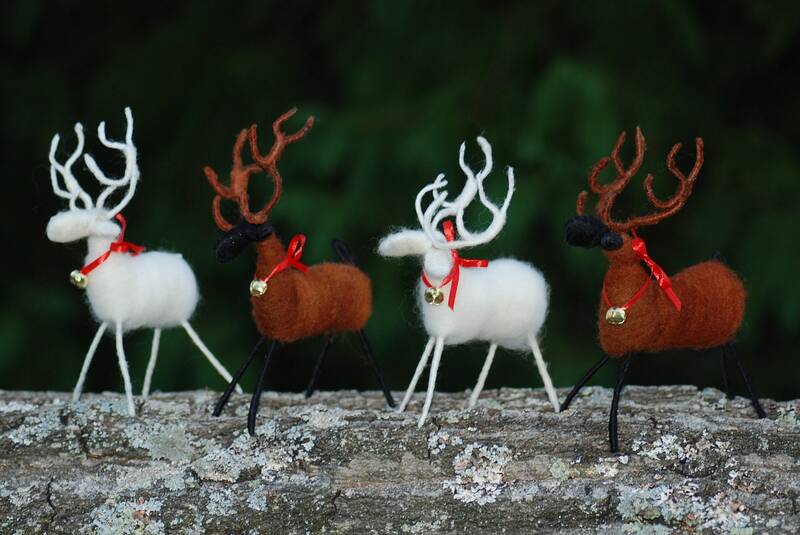 Or felted Christmas Ornament Reindeer Finger Puppets. Available here. Their little faces are so cute. 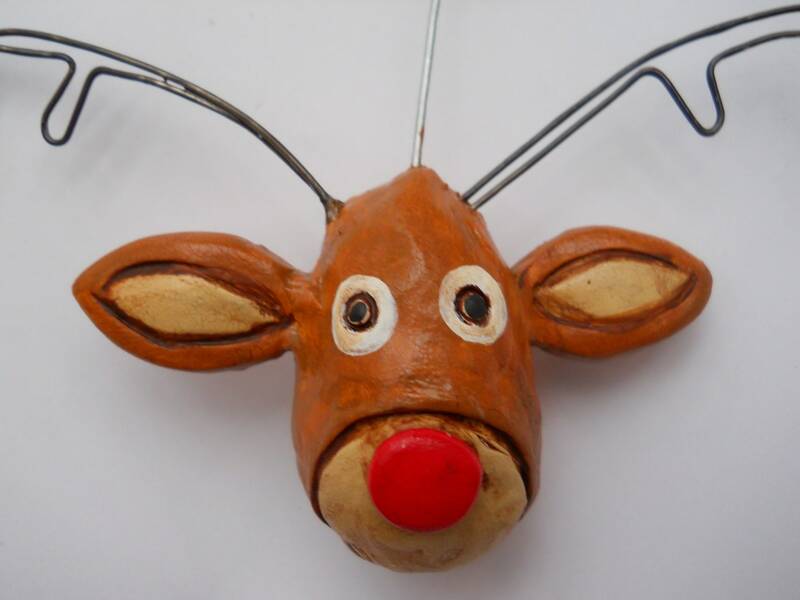 And finally there are these metal and clay reindeer ornaments by indigotwin on Etsy. 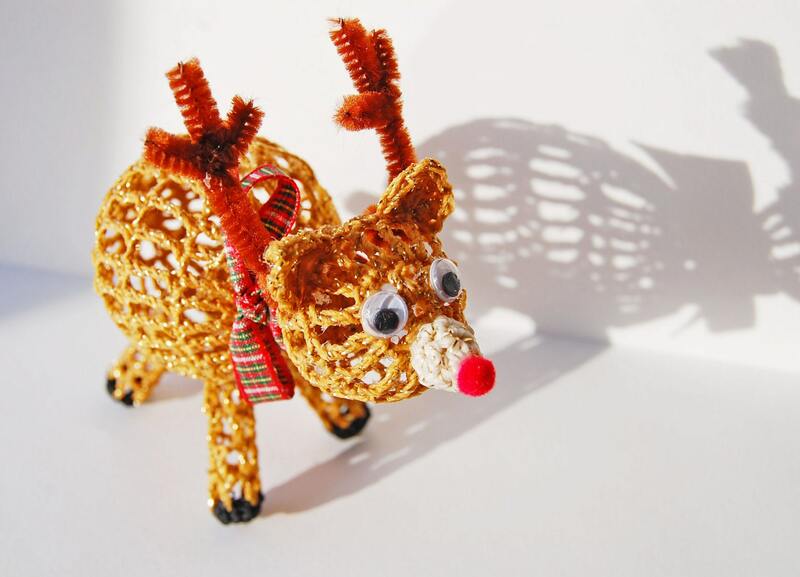 Perhaps your Christmas decor needs a more substantial reindeer (and you knit). Get your needles going on these cute little guys. 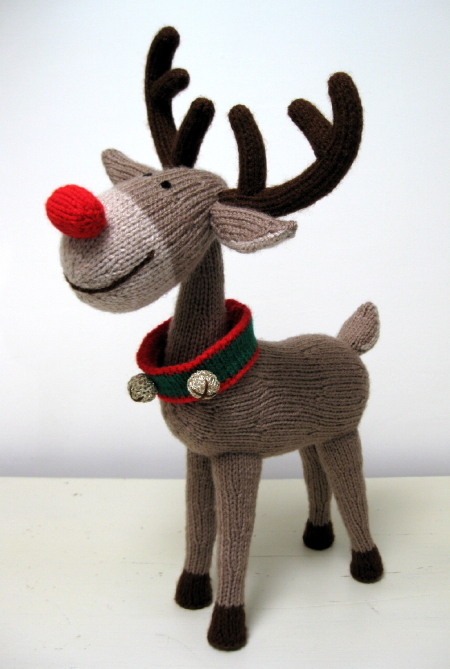 Knitted Reindeer Toy pattern from Craftsy. By Alan Dart, legendary knit toy designer. By Galt Toys. (Free pattern available here). 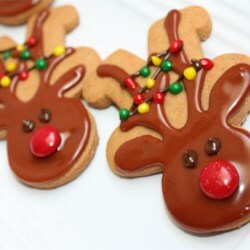 So make yourself some reindeer bickies (that's Aussie for cookies), settle down and wait for Santa. Have a close look at these clever cookies by footballgrl16 on Allrecipes.com. Look carefully at the shape of the cookies. That's right, they're made using upside down gingerbread men cookie cutters. Awesome. 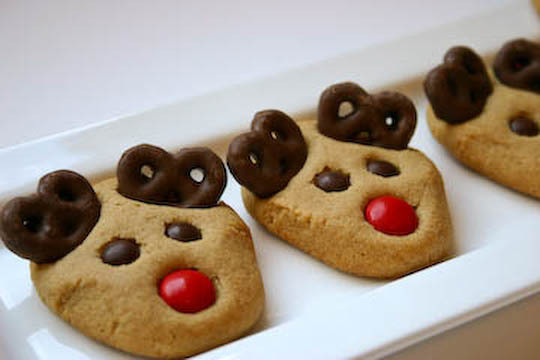 Peanut Butter Reindeer Cookies by Baker Girl. Recipe here. I'd like to add one more slightly tacky reindeer ornament (the blue thing in the photo below). This is admittedly extremely amateurish but it still has pride of place on our tree. The boy turned 18 in late November. (This means all my children are now official grown-ups). This is our memory of him as cute kindergarten kid. Priceless.